The Central Bank of Russia will no longer use credit ratings from Standard & Poor’s, Fitch, or Moody’s that were assigned after March 1, 2014. All credit ratings given to Russian companies and banks will now be at the discretion of the Board of Directors of the Bank, according to a press statement Monday. The regulator will assess whether or not the ratings made after March are accurate. “According to the Bank of Russia Board of Directors’ decision, the rating date for credit institutions and their issued financial instruments, including securities, to implement Bank of Russia regulations, shall be 1 March 2014; as for other entities, listed in the ordinance, and their issued securities, this rating date shall be 1 December 2014,” the press release said. The decision comes after Fitch and Moody’s downgraded Russian sovereign debt to just above junk status. Standard & Poor’s will decide whether it cuts Russian debt to junk level by the end of January. Ratings cuts by the international agencies have increased since Crimea rejoined Russia in mid-March; at the same time the West began to levy sanctions against Moscow. On Friday, Moody’s cut Russia’s government bond rating to Baa3 from Baa2, just one level above junk. The agency also forecast the economy will contract 5.5 percent in 2015, and an additional 3.0 percent in 2016. The week before, Fitch ratings agency knocked Russia’s investment rating down to BBB-, warning that the country won’t see growth until 2017. “They’re private companies, so we assume that they’re completely independent and not subject to political pressure. However, they do exist in an American context and are subject there to the international media’s reporting which tends to give a single narrative – a very negative narrative when it comes to reporting – particularly the Russia story,” Ben Aris explained in an op-edge piece after the Fitch downgrade. Last month the agency put Russia’s sovereign rating on negative watch, worrying investors a junk downgrade is to follow. Credit ratings are used as a benchmark for investors when deciding where to put money in global markets. Russia’s Economy Minister Aleksey Ulyukaev says it is fairly likely S&P will downgrade Russia below investment grade, which he estimates will cost the Russian economy an extra $20 or $30 billion. The ‘Big Three’ charge service fees when they assess a bank or government's creditworthiness. The Bank of Russia did not specify whether individual companies would sever financial contracts with the companies. Russia and China are in the process of establishing their own rating system Universal Credit Rating Group (UCRG), which will issue its first rating in 2015. Many Russian economic and finance officials have lambasted the ratings as politically-motivated. All three agencies stopped issuing new ratings on Russian companies that were hit by Western sanctions. Lower ratings will likely result in less foreign investment, worsening Russia’s economic woes. In 2014, more than $150 billion in capital left Russian banks and companies, more than the record $133.5billion that left in 2008 when the financial crisis hit. 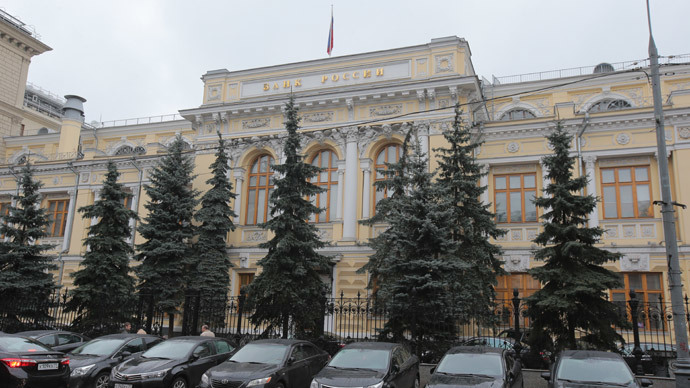 In August, the Central Bank drafted legislation that would require any foreign ratings agency to open a local subsidiary in Russia, to be supervised by the bank. On January 16, Fitch downgraded 30 Russian financial institutions, including the country’s biggest bank, Sberbank, as well as Vnesheconombank to BBB-. Gazprombank and Rosselkhozbank were downgraded to junk level at BB+. The ratings agency also downgraded several companies across the energy sector- including Gazprom, Gazprom Neft, Lukoil, and Tatneft. Novatek, Russia's largest independent natural gas producer was placed on watch, and Russian Railways, the country’s largest employer, was also downgraded with a negative outlook.